The textbook for our CSL class (chinese as second language) are "Happy Chinese"
Happy Chinese is a set of teaching materials jointly published by Hanban and the British Council, for secondary school children who are learning Chinese as a foreign language. 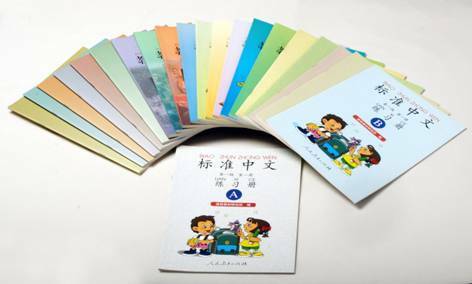 This whole set of teaching materials is divided into three volumes. This series has been designed to meet the emotional and learning needs of students between 11 and 16. It emphasizes to arouse student's interest and improve their communication ability in Chinese. The whole set is systematic and logically graded. The content is interesting and closely related to the children’s daily life.